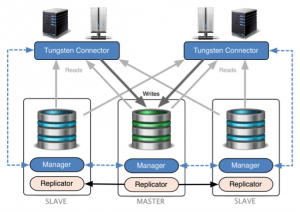 Continuent is pleased to announce that Tungsten Clustering 6.0.5 and Tungsten Replicator 6.0.5 are now available! Our v6.0.5 release fixes a number of bugs and introduces some new features, with improvements across the board in a variety of different components. 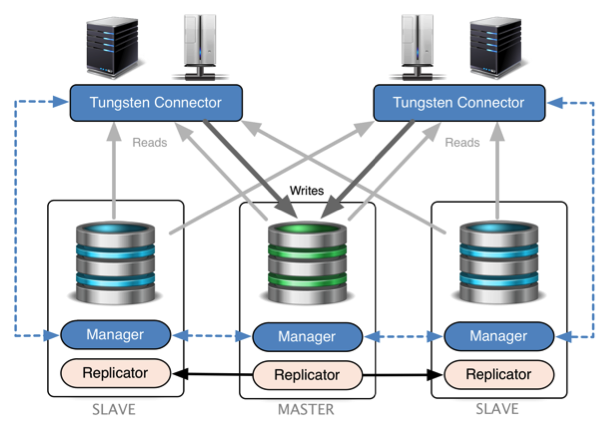 A new Clustering utility script has been added to the release, tungsten_reset_manager, which assists with the graceful reset of the manager’s dynamic state files on disk. Fixed an issue where the tpm command would allocate inconsistent THL listener ports for the Composite Multimaster (CMM) topology. MySQL ping commands are now reconnected/retried upon “server gone away” error (Proxy mode ONLY). The tpm command now properly handles network interface names containing colons and/or dots. The tpm diag command alone will obtain diagnostics from the local host only. The tpm diag –hosts host1,host2,hostN command will obtain diagnostics from the specified host(s) only. The trepctl command now properly handles the -all-services option for the reset sub-command. The backup process fails with 0-byte store*.properties files or store*.properties files with invalid dates. Changed the process so that invalid backup properties files are skipped. Fix the ability to enable parallel apply within a Composite Multimaster (CMM) topology. 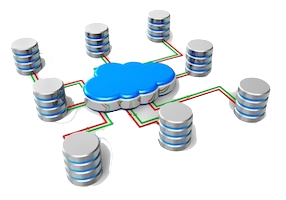 Now handling relay as slave to make the relay use the same code as a slave concerning its internal connections (disable binary logging of its internal SQL queries). The MySQL MyISAM check seems to fail intermittently with no way to bypass it so the check has been disabled completely. Fixing the rpm-based post-install chown command so that symlinked directories get correct ownership. The postgres applier now respects the database name set by pgsql-dbname. Specifically, the tungsten-replicator/samples/conf/datasources/postgresql.tpl was updated to use the correct variable for the value.